Education Network Indonesia : What is ENI? ENI is a group of New Zealand tertiary institutions, who have grouped together to present an integrated approach to the Indonesian market. Members include six New Zealand’s eight universities, seven ITPs (Institutes of Technology and Polytechnics) and a small number of PTEs (Private Training Enterprises) and secondary schools. ENI is committed to offering New Zealand education to those Indonesian students who want a world class education. This commitment has been demonstrated by the opening of an ENI office in Jakarta and the appointment of a local business development manager. Funding of ENI is by way of support from the members and Education New Zealand, the government-mandated organisation that has oversight of the education of international students in new Zealand. High on the list of priorities for ENI member institutions is welfare and safety of students. All education institutions in New Zealand must sign a Code of Practice that guarantees the welfare and safety of students. 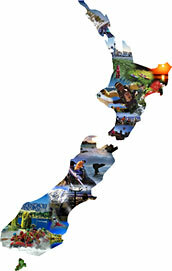 New Zealand is one of the safest destinations in the world.